Can anyone remember going to kindergarten? Way back then life was a lot simpler. We all had a set of rules that were given to us on how to behave (say “thank you”, be kind to others, listen to what the teacher has to say, etc.). Now perhaps not everyone followed each of these rules all of the time, but at least we all knew what the rules were and could always refer back to them. Now move forward into the future in which we are now living. 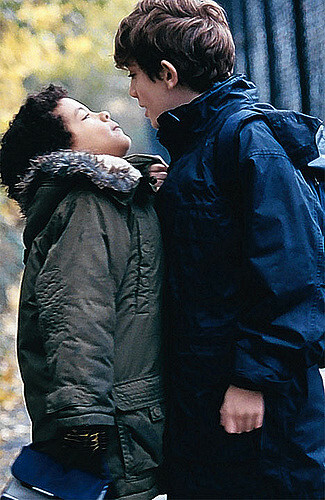 Incivility and it’s close cousin bullying are becoming a bigger issue in the workplace. What is a manager to do? So what do the studies tell us? Right now roughly 66% of workers say that they were bullied at work last year. This number has increased from 1998 when only 50% of the workers reported having been bullied in the previous year. For the purposes of this study, the definition of bullying that was used was “treated rudely at least once a month” by either their bosses or their coworkers. The reason that this is such a big issue is that bullying can cost a company a lot of money. Bullying has the ability to generate costs for a company in both big and small ways. Bullying can reduce the productivity of workers and in some cases it can end up turning off existing and potential customers. A lot of companies would like to think that bullying does not happen in their offices. However, if they would take the time and observe what is actually going on, then they might discover that they have bullying going on in their own backyard. As a manager, you find yourself in a tricky spot. You’d like to use your manager skills to be seen as being a tough boss; however, you don’t want to come across as bullying the members of your team. You want to get results, you don’t want to be a bully. So how can we draw the line between these two behaviors? Human resource professionals tell us that it is ok to provide members of our team with feedback that is focused exclusively on improving a member’s quality of work or their workplace conduct. This will not be see as being a bully. As managers our manager training tells us that our goal should be to set high standards for our team and then go about reinforcing those standards. Before we can investigate ways to fix this problem, we first need to take a moment and try to understand why bullying is such a growing problem in the modern workplace. What managers need to understand is that it’s the work environment that can lead to a rise in bullying. Some of the conditions that can cause an increase in bullying include work environments that have a lot of millennials in them, work environments that have significant power disparities, or ones in which a few star employees are the ones who bring in a lot of business. Another step that managers can take in order to get bullying out of their workplace is to make sure that everyone realizes what appropriate behavior is. Yes, this may seem somewhat juvenile from an adult point-of-view. I mean, don’t we all already know to treat each other with respect, don’t talk bad about others, always say “please” and “thank you”, etc.? The answer is that yes we do know about these behaviors, but unfortunately it can be all too easy during a busy day in the office to forget how we are supposed to behave towards other members of our team. Making sure that the company’s code of conduct is clearly visible to everyone in the workplace means that it may embolden the members of your team and encourage them to speak up when rules are being broken. I’m hoping that it goes without saying that bullying has no place in the modern workplace. You need the members of your team working at their peak performance levels and working together on team building and if there is bullying going on, this is not going to be happening. Unfortunately, workplace surveys that have been taken have shown that bullying does exist in the modern workplace and in fact, it has been increasing over the past few years. Looks like its time for managers to take action. Workers are reporting that they have been bullied in the workplace in the past year. This can be a big deal for companies. Bullying means that workers are not going to be as productive as they need to be. There is also a good chance the employee turnover will be higher than it should be. The problem with bullying is that it puts managers in a tricky place. They want to come across as being firm to their team members, but they don’t want to be a bully. It turns out that if managers focus their conversations with team members on quality of work and conduct, they should be on safe ground. Bullies arise in workplaces that have a lot of young people, unequal power distribution, or a few star performers. To get rid of bullying managers need to make sure that team members feel safe reporting bullying behavior. They also have to make sure that everyone understands what types of behaviors are acceptable and which ones are not acceptable. Bullying is bad. It can lurk under the surface of a team and slowly cause the team to become less effective. As a manager we need to take the responsibility to discover if bullying exists in our work environment and if it does, then to get rid of it. Our actions can create a work environment that everyone wants to be a part of and where everyone can produce their best work. Question For You: If a manager discovers a bully on their team, what do you think the first steps that they should take in dealing with this person should be?